Water is a necessity; however, it seems like access to safe water has become an increasing concern. 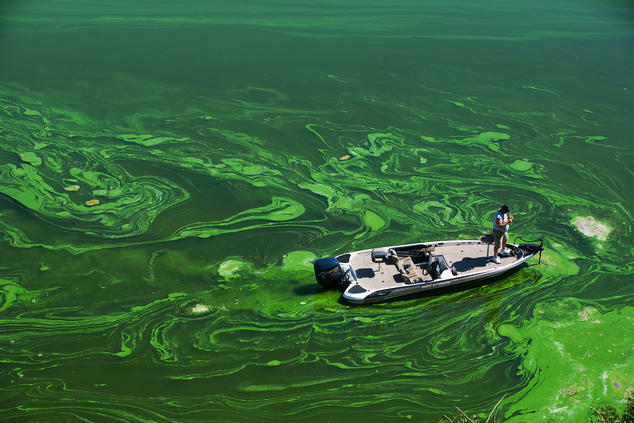 Over the past three years, water contamination has become more and more relevant. What - is the problem? Let's start with the basics of water contamination; what is it? Water contamination occurs when any harmful substance seeps into a body of water, thus becoming harmful to those that use or consume it. Water is a very unique substance, in that it is a universal solvent, thus makeing water extremely vulnerable to any form of pollutant. In fact water is able to dissolve more substances than any other liquid on earth. Now, how do chemicals get into our water? The agriculture industry consumes/utilizes roughly 70% of Earth's surface water supplies. The agriculture industry is the leading cause of water degredation and the top source of contamination in rivers and streams. Main water contaminants include: fertilizer, pesticides, and animal waste. 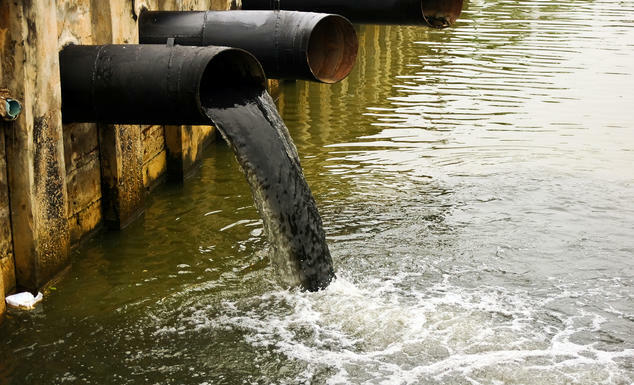 The EPA estimates, that sewage treatment systems release more than 850 billion gallons of untreated wastewater each year. About 1 million tons of oil makes its way into marine environments each year; HALF of this comes from land-based sources such as factories, farms, and cities. Radiation released by a substance not from the environment, for example nuclear power plants. Radioactive waste is very difficult to dispose of; the waste can stay in the environment for over thousands of years. Who - does it effect? Answer: Humans, Animals and the Environment. One of the more problematic aspects of water contamination occurs in the form of Disease. 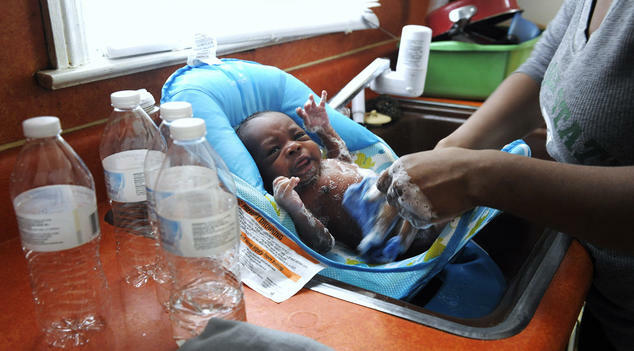 On average, an illness born from water contamination, is responsible for 3.4 deaths each year. A water filter is not just to remove water contaminents, it also saves lives. Common diseases include: cholera, guinea worm, typhoid, and dysentary. Think about how much you, your family and your pets use per day. It's a lot right? Now think about the contaminants you, your family and your pets could consume, due to water pollution. It's overwhelming, right? Now think about the food you eat; they have to get water from somewhere too. Many animals consume plastic, sewage and other chemicals, from water. Therefore, when we eat/drink any fish, meat or dairy products, we are also consuming contaminated water. It is a tough reality, but a very real one; a reality that is growing increasingly more and more problematic as water contamination becomes a greater issue. Why - should we care? 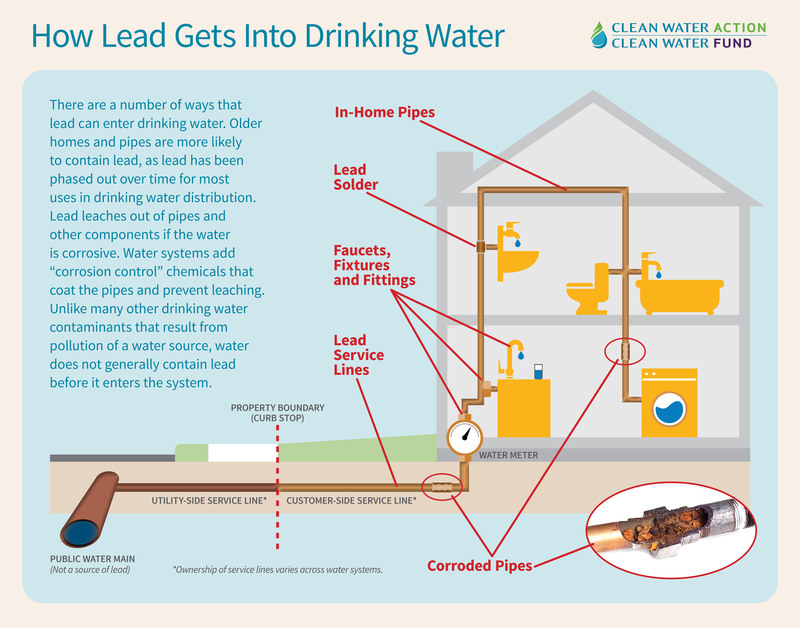 Any home built, prior to the 1930's, had copper water pipes that were most likely made with lead solder. Even if you are unsure, there are unique identifiers with lead pipes; the main three being: the gray color of the pipes, unable to have a magnet stick to the pipe and lastly, easily scratched with another metal. With these older pipes, if it corrodes, the pipe will rust from the inside and work its way outward. The water may produce discolored water that tends to be brown, yellow, or reddish brown, and the piping will likely clog with rust and collaspe over time. Lead is a dangerous contaminent. The EPA stated that drinking water is responsible for 20% or more of a person's exposure to lead. The side effects from lead are most apparent in two groups: children and pregnant women. The reason for this, is that pregnant women and children are susceptible to side effects, even with a very low level of lead exposure; thus making lead one of the most dangerous contaminents. Recently there have been multiple, high profile, water contamination crises; all of which have dealt with lead: Flint, Michigan, Chicago, Illinois and Newark, New Jersey. All of these crises have had to do with lead from the pipe lines and city officials. In Flint, the main goal was to initially save money, but ended up costing the local government and residents much more. In Newark, local officials told residents that the water was fine, when in fact it was contaminated with high levels of lead. The real question is, can we eliminate growing concern over water contaminents, when our local and state officials will not even tell us the truth? The simplicity of the home kit, makes it easy for families to understand and learn about their water, instead of leaving your health to chance. Not only does Tern offer a water testing kit, it also offers the first home smart water filter. The Smart Faucet was created with one goal in mind, safe AND sustainable water for you and your family. The filter is designed to eliminate 99% of all contaminents, giving you and your family peace of mind, while eliminating and hassle. Trust us, a glass of water tastes a lot better when its lead free!